SAW, CON WALK BHND 7 HP 14"
The CX-3 Series Walk-Behind Concrete Saw is for small to medium jobs that require power and portability. This compact, lightweight saw has been engineered for maneuverability and reliability. The built-in water distribution system supplies water to both sides of the blade. It is designed for left or right mounting of blade and blade guard; cuts within 1" of wall or curb. 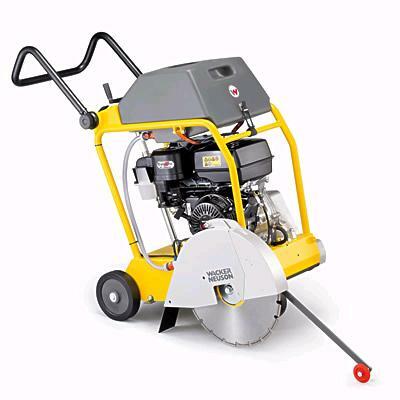 * Please call us with any questions about our saw con walk bhnd 7 hp 14 inch rentals in Duluth MN and Superior WI, serving Proctor MN, Hermantown MN, Northern Minnesota and Northern Wisconsin.